I was recently asked to make a cake to celebrate a 50th wedding anniversary! What an amazing celebration! 🙂 The “bride” wanted a replica of her wedding day cake (which she had also done at her 40th party). 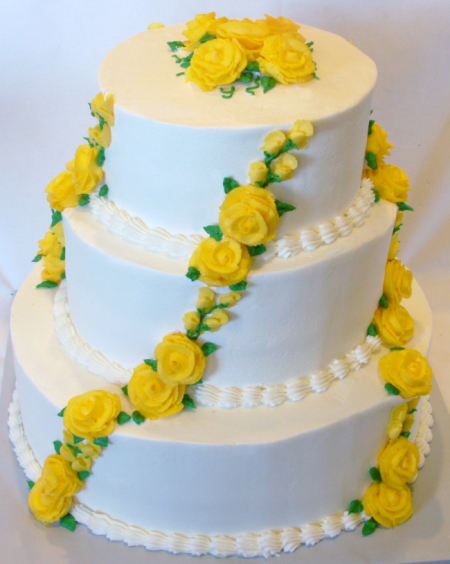 This time, though, she wanted the roses to be a golden yellow, which is the “color” of the 50th anniversary. This cake is 8″-10″-14″.